You can turn on the burners on your gas stove, but the oven doesn't work. That's great in a way because you know the stove is getting gas, so you can eliminate the gas supply as a reason for the problem. There aren't many other possible causes, so diagnosis shouldn't be difficult. Why Do the Burners Work & the Oven Does Not Work on My Gas Stove? 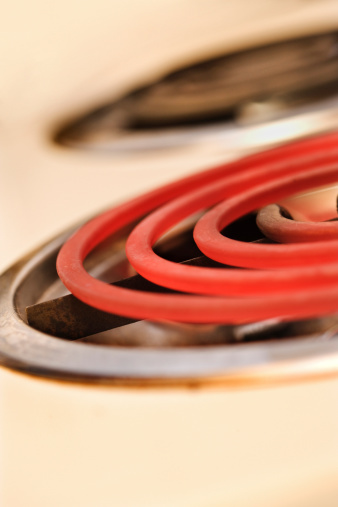 Unless you're fairly handy around the house, it's a good idea to leave gas repairs to the pros. Gas repairs must be performed to precise specifications to guard against leaks and possible fires. Many homeowners have the knowledge to do minor plumbing and gas repairs on their own, however, and they often do. The repair to the stove will probably be minor, so if you have the tools and the confidence to tackle it, then go ahead. 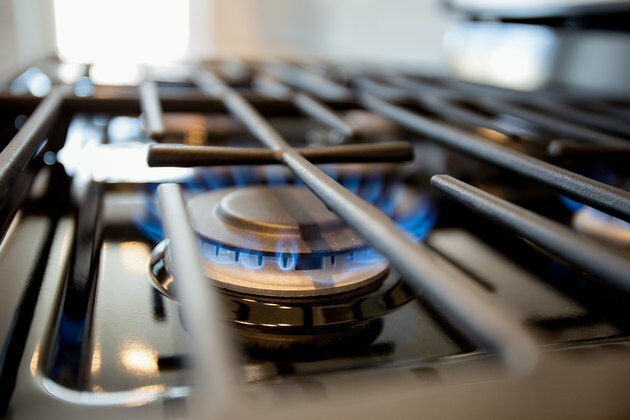 If your GE gas oven is not heating (or any other gas oven for that matter), and you hit a snag while trying to fix it, don't hesitate to call an appliance pro. The igniter is an electronic component that serves two functions. When you turn on the oven, the igniter opens to allow gas to flow through the valve. At the same time, the igniter glows red hot and ignites the gas. This is the part that is most likely malfunctioning. You can find the igniter in the bottom of the oven compartment, usually under a cover and next to the burner gas inlet. If this component glows when you turn on the oven control, it could still be bad. It may not be generating enough current to open the gas valve. You can remove the igniter using a screwdriver without the need to modify any gas connections. Unplug the stove, disconnect the igniter and perform a continuity test with an ohmmeter. A very high resistance reading (OL on a digital meter) means the part is bad and should be replaced. The igniter in many gas stoves is connected to a thermostat in the control knob. If this thermostat malfunctions, the igniter won't receive any power. Suspect this component if the igniter passes the continuity test. Remove it with a screwdriver, perform a continuity test on it and replace it if it's defective. If both the igniter and thermostat are working, the problem could be a mouse-eaten wire or a loose connection. You'll probably be able to see this, but if it isn't obvious, be sure to turn off the gas before you start searching for it. The safety valve in the gas control housing can sometimes malfunction. This doesn't happen very often, but if it does, gas won't flow to the burner. Don't attempt to repair this yourself; you need a licensed gas pro to do it. If your electric oven is not working, but the stove top is, the situation is similar to that of a gas stove. The unit is getting power, as evidenced by the working burners, so there must be something wrong with the oven heating element. The element may be burnt out. You can check this by removing the burner and performing a continuity test. If it passes, look for looses wires or connections and perform a test on the thermostat control. Be sure to unplug the stove or turn off the breaker in the main panel before you do any work on it.